Shu Xin: The Prettiest Lady-In-Uniform – 3Stoogiez! …for a soldier is born to protect, and she was not only courageously braver than anyone else, she has definitely had the most gorgeous face among others in her risky profession. She was Shu Xin and she works as a soldier for the People’s Liberation Army in Republic of China. In fact, she was named one of the most beautiful People’s Liberation Army soldiers in 2013. Born in the 90’s at southern China’s Guiyang city, this pretty young lady had captured the hearts of the social media people and was in fact dubbed as the “prettiest bodyguard”. Sometime in September of 2016, she was spotted as a bodyguard during the G20 summit in China. 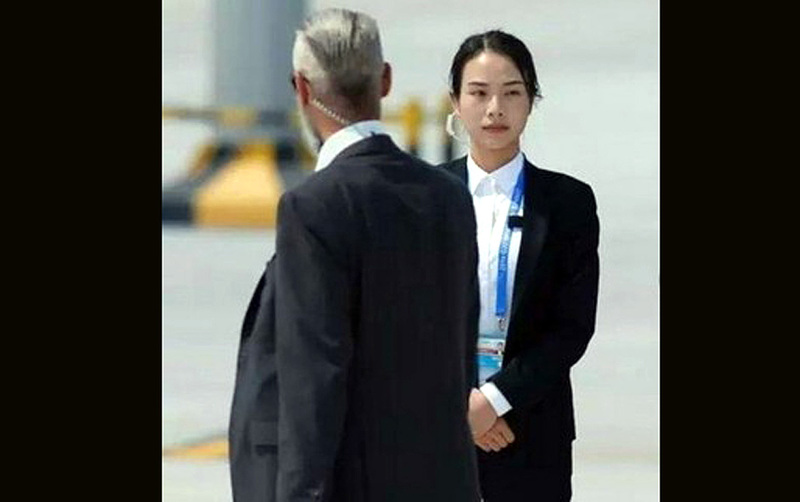 While the world leaders met to discuss important issues in Hangzhou, media people focuses upon this gorgeous lady-guard on post. As an ordinary guard being pictured right next to the Italian Prime Minister Matteo Renzi is quiet normal but for being a “female guard” on post during this high profile event is no ordinary thing at all. She was allegedly tasked to guard the car used by the prime minister. After these photos been featured, people keep on talking about her, making her name as one of the most sought person on China’s social media site Weibo. And aside from being a tough woman-in-uniform, she was also gifted with great voice, holding a second best record in Yancheng singing contest. Truly, this lady had popularly shot a name in social media with bravery and outstanding beauty.